Program Description: Real Estate's importance as an important asset within an institutional real estate portfolio has continued to gain momentum in spite of declining absolute yields. Specific key factors have influenced this increase in real estate investment. These factors include, technological advances, legislative mandates, and capital market developments. 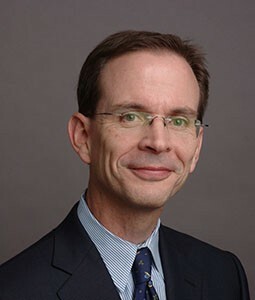 James D. Shilling is the George L. Ruff Endowed Chair in the Real Estate Center at DePaul University. A prolific scholar, Shilling has produced more than 80 journal articles, studies, books and book chapters. His work has examined real estate investment trusts and the role of real estate in institutional investors' portfolios; mortgage securitization; commercial mortgage default, real estate asset pricing, housing finance and urban economics. Professor Shilling holds a bachelor's degree from Otterbein College and earned master's and doctoral degrees in economics from Purdue University. He was a member of the University of Wisconsin's faculty between 1990 and 2006 where he was the James A. Graaskamp Professor of Real Estate and Urban Land Economics. In addition, he taught at Cambridge University, where he held the Grosvenor Professor of Real Estate Finance in the Department of Land Economy. He previously lectured at the University of Pennsylvania's Wharton School and Louisiana State University. He has also worked for the Federal Home Loan Bank Board. Professor Shilling is a past president of the American Real Estate and Urban Economics Association and a past editor of its top-ranked journal Real Estate Economics. He has been honored by a number of prestigious organizations and is a fellow of several, including the Urban Land Institute, Royal Institution of Chartered Surveyors (RICS), Real Estate Research Institute and the Homer Hoyt Advanced Studies Institute. Professor Shilling is also a Counselors of Real Estate. Regular, Candidate, and Affiliate Members may apply function tickets as payment for Nonmember or Student Member. Credit card required to guarantee ALL reservations except for reservations using Function Tickets. Day-of-event registrations accepted on-site only if applicable and space available. There is a $5 surcharge for walk-ins. Visa, MasterCard, American Express, Discover and Diners Club are accepted. Cancellations accepted until 5:00 pm, September 3rd.